As much as we would like to, we don’t in fact indulge in Afternoon Tea every single day – we know, shock! So last month we were invited by the lovely people at Metquarter Liverpool to sample a brand new menu at one of our old favourite’s, Patisserie Valerie. Now if you’ve ever walked past this wonderful shop on the high street, you will already be well aware of the gorgeous cakes, pastries and treats that Patisserie Valerie offers in it’s gloriously tooth-ache inducing window. 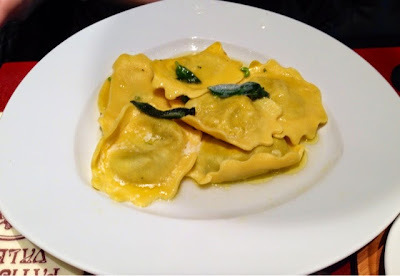 But this time we were there to try something a little different, the new set Winter menu. First course - Soup of the day. Choose from a selection of Winter warmer dishes in the cosy surroundings of this café and you’ve got a nice little afternoon indeed. 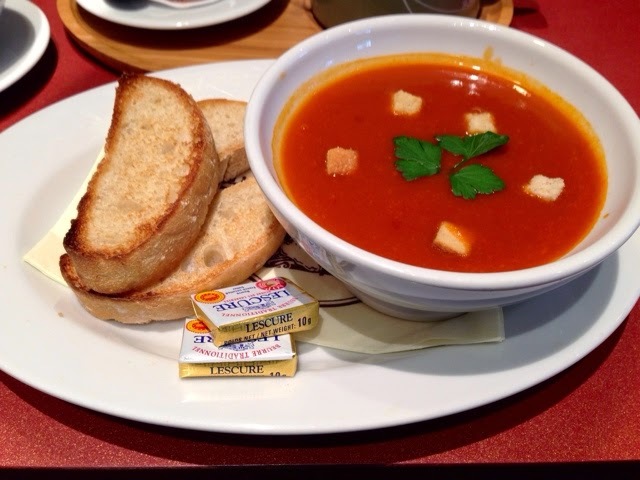 We went for soup of the day which was a delicious tomato flavour with a nice chunk of toasted bread. Other options included meatballs and goats cheese tartine. Main course - Confit of duck. 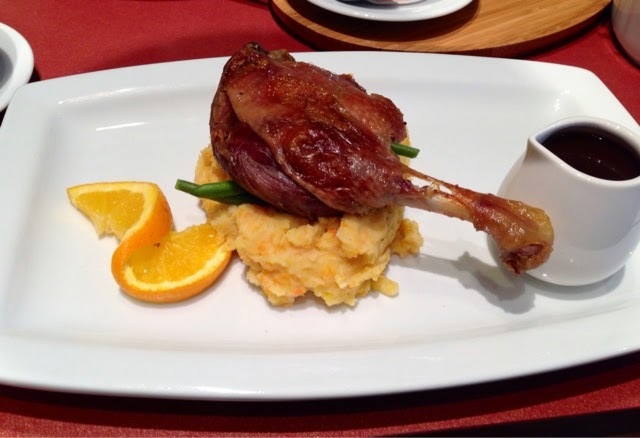 For our second course we choose confit of duck served with potato, swede and carrot mash – delicious, and asparagus and peas shaped Girasole Ravioli – another tasty and filling dish. Diners can choose from either a 2 course or 3 course meal. Desserts on the menu include crème Brûlée, apple cranberry and almond crumble, chocolate fondant or a slice of Valerie’s gateaux. 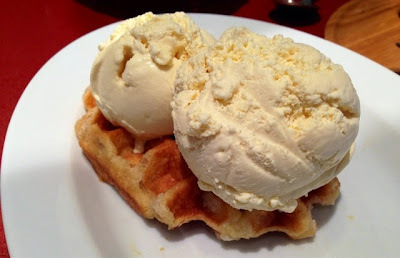 We opted to go off menu and went for delicious waffles complete with a big dollop of vanilla ice cream – a complete classic but such a goodie. All of this was topped off by a chocolaty mocha and a good cup of tea. 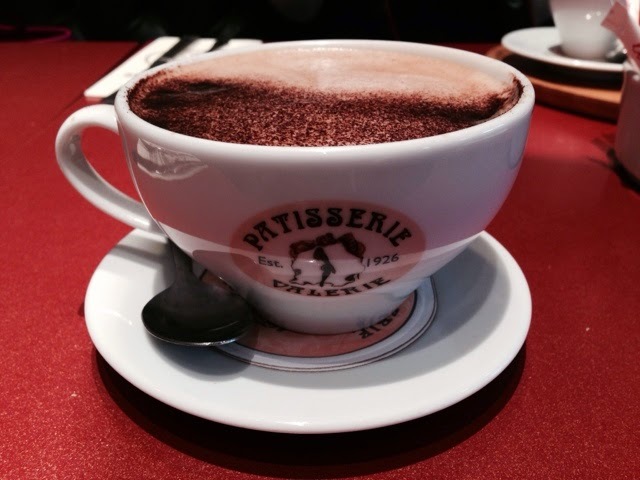 The menu is currently available throughout the Winter season at participating Patisserie Valerie outlets with prices starting at just £9.99pp. I had cake at PV in Edinburgh and was unimpressed.